We provide small business training and start-up funding to help young people earn small business incomes in an environment where formal employment is scarce. Poor, out-of-school Kenyan youth face bleak job prospects, and many see no practical ways of putting their energies and talents to work. Some stay at rural homes but find they cannot contribute as they'd like; some head to cities only to find that urban slums at least as difficult. But all of them have dreams and aspirations, and those dreams stand a better chance of manifesting into reality with an independent source of income and the confidence it provides. We believe that all young people deserve a chance to make the most of their talents and motivation, and we are continuously working to develop, run, and improve training programs that help out-of-school young people start small business ventures and build independent adult lives. ​ Local farm experts teach relevant farm skills to participating youth. Participants learn to focus on endeavors that have ready markets, incur only modest risk, and require manageably small investments to launch. Most often this means raising hens or growing horticultural crops like fresh greens. 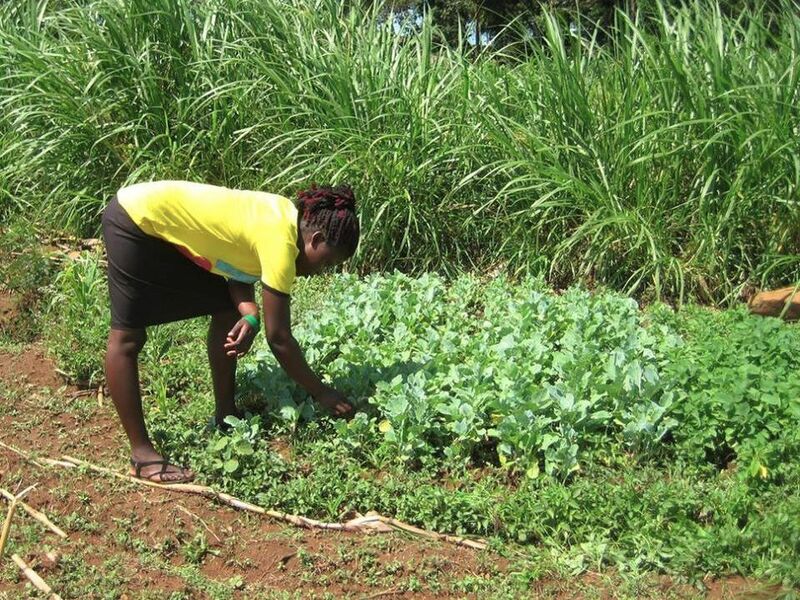 So that farm ventures are positioned for success, our programs teach business planning skills and guide participants through the basics of farming as a "micro-entrepreneur." To ensure youths' business can get off the ground, we provide each program participant with roughly $200 in start-up funding, as well as on-farm support visits and ongoing education on topics like diversifying risks, forming cooperatives, and accessing credit. ​Agriculture remains one of the largest pieces of Kenya's economic pie, and many more Kenyans earn a living from farming than all formal sector employment put together. Although non-farm small business opportunities exist in rapidly urbanizing Kakamega Town, most of the young people we serve live in remote places a great distance from town. And regardless, in many cases a plot of family farmland (or access to it) is the most valuable physical asset available to rural youth. We find that farming is a mutual opportunity shared by nearly all the out-of-school youth we serve - and as a result we see it as one of the best areas to concentrate our efforts supporting out-of-school young people. While we are planning to expand our small business trainings beyond agriculture in the future, we have seen so many great successes from our young farmers that we will definitely continue our agriculturally-focused programs as well. 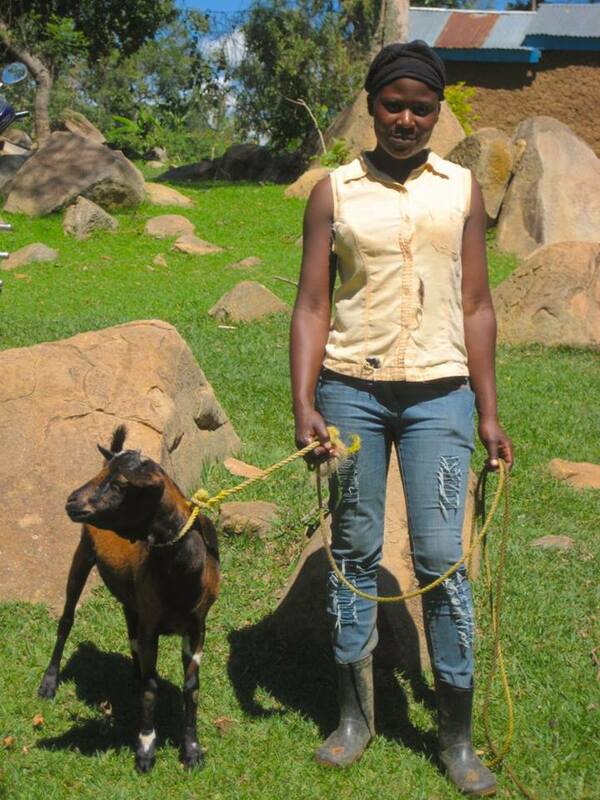 As Maximlla Nyongesa graduates from our first "small farm business training" program, we wish to share her inspiring story. Barely in her twenties, Maximilla is the youngest of her siblings and the only one providing care for her handicapped mother. 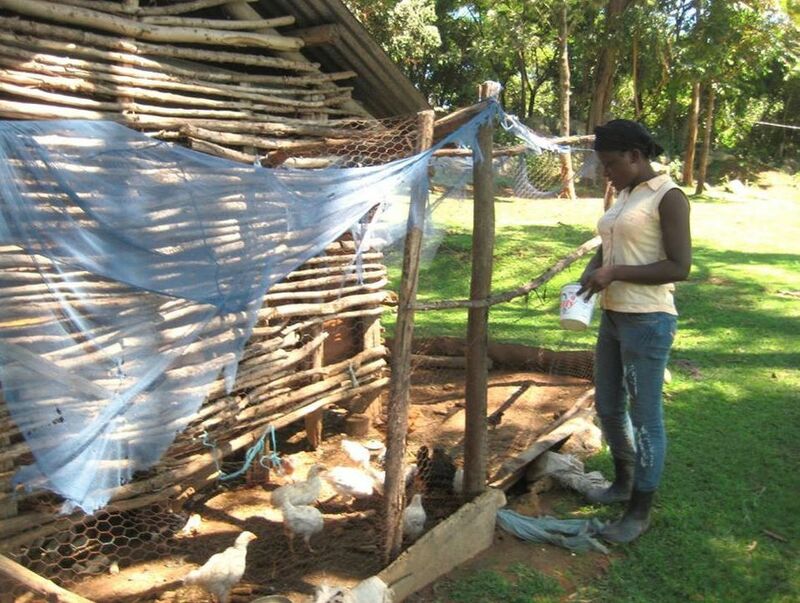 A diligent planner, she launched a kale-and-spinach horticulture business as part of our program and then reinvested her venture's proceeds to diversify into rearing layer hens and goats. From her farm income Maximilla is now able to pay her own way through college at Sigalagala Technical Training Institute, where she is working toward a Certificate in General Agriculture. 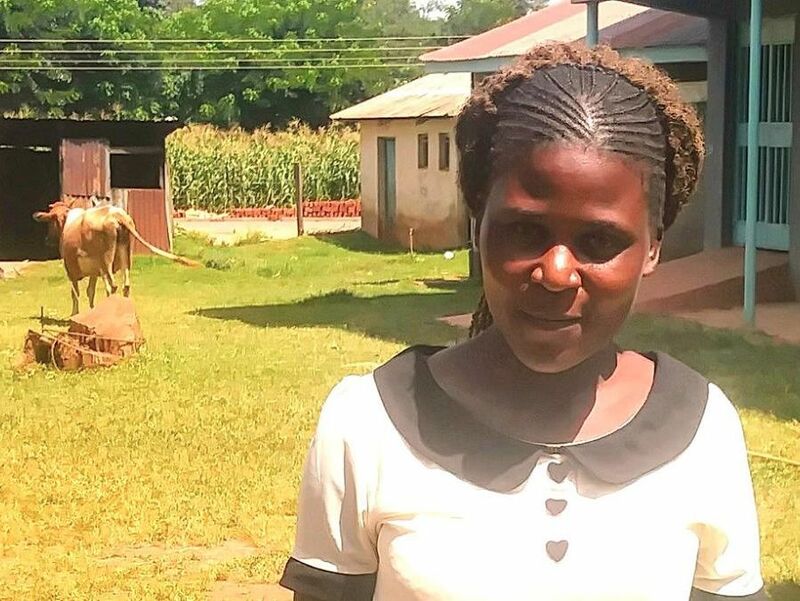 She hopes that with advanced training she will one day make a name and a better living for herself as a commercial farmer. Maximilla, we salute you for your hard work and for being a true role model to so many young women in the Kakamega community! Nathan Witundu joined our small farm-business training program Agriculture Livelihoods in 2014 and is now graduating as a leader and role model among his peers. ​We are impressed with his tireless efforts, and for reminding us that, with education and a small hand up, it is possible for one person’s sacrifice and hard work to transform the future of an entire family. Nathan had to leave high school after his sophomore year for lack of fees and was out of school for a year before joining our program. 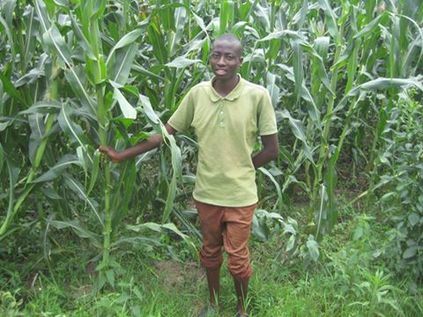 In his first year in the program, he grew maize for both food and sale and reinvested his profits in the purchase of a young calf. ​In his second year, he grew horticultural crops on his family’s ¾ acre farm plot, steadfast in his efforts to cultivate crops that could fetch a good price in local markets. 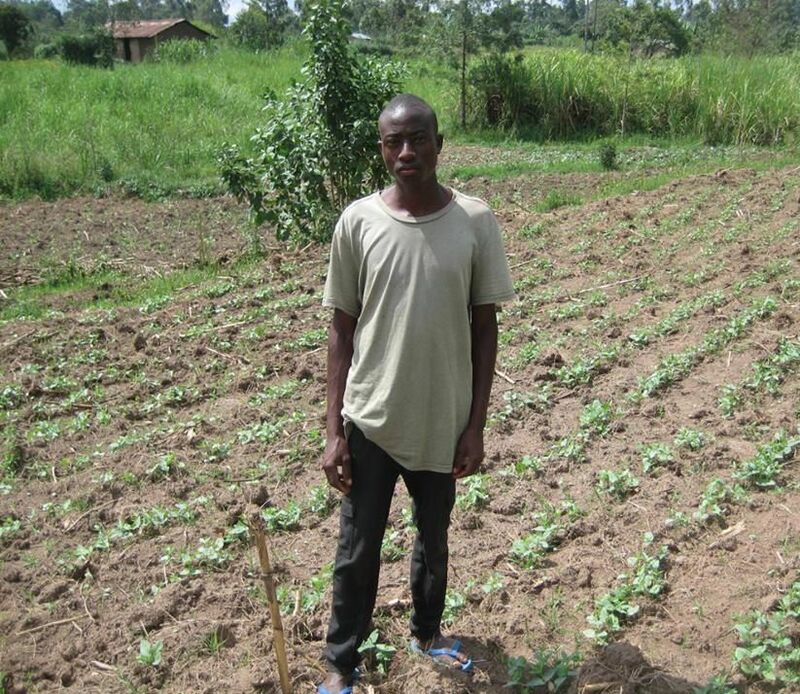 Today he grows kale, cowpeas, nightshade, and other crops and earns enough from their sale to support his mother and three younger siblings in elementary school. Nathan eagerly applied his lessons in planning, marketing, and cost-effective, mostly organic soil fertility management. He worked hard to make compost for his farm and has demonstrated great foresight by rotating his crops and expanding his business. For example, his cow, now a year old, produces manure that fertilizes his horticulture crops and increases his yields even more. It is likely that his cow could bring more income every month than many of his neighbors can squeeze from their maize farms in an entire year. ​We commend Nathan for his hard work, sacrifices, and dedication to a farm endeavor that has great potential but requires a lot of hard, dirty, and exhausting work. While some of his similarly situated peers reject farm work and search for unavailable white-collar jobs, Nathan is hard at work each day improving the future for himself and his family.